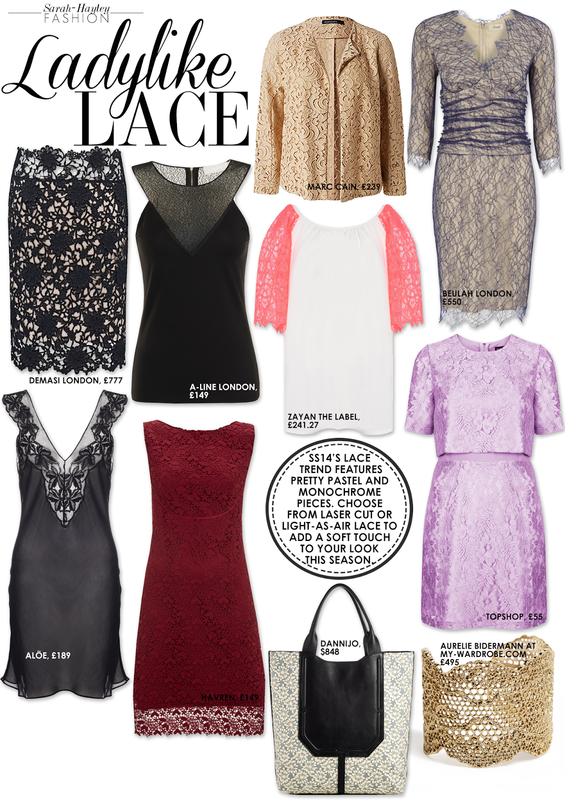 Lace is an enduring trend. For SS14 lace is ladylike and romantic in mood. Burberry Prorsum featured a sorbet shade collection with lace detailing on coats and lace separates worn under cashmere. Laser cut lace was also on the catwalks of Chloe, Peter Pilotto and Meadham Kirchoff. I have found a selection of fabulous lace pieces for your Spring/Summer wardrobe by some of my favourite fashion brands.